Straub/Huillet’s work challenges received notions of film. This study takes a feature which is common to all of their films as its starting point for analysing this challenge: all are based on existing works of art. The author investigates how Kafka’s writing, music by Schoenberg and Bach and Cézanne’s painting engender alternative modes of filmic representation. In these, the shape of time and space and the material features of sounds and images engage the audience’s attention; they sensitise the viewer to the material inscriptions of human existence and an utopian potential. It is in this sense that these films are deeply political. 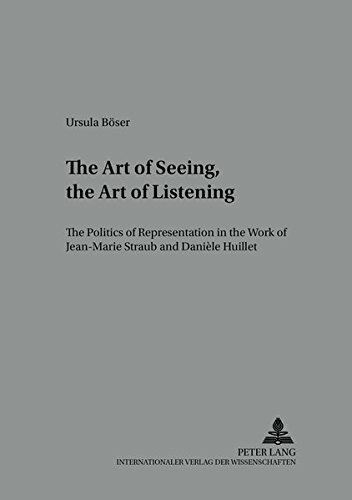 By focusing on formal and stylistic features, and the interplay between the films and the works of art which they are based on, this volume responds to the films’ invitation to see and hear differently.